Ant-plant mutualistic interactions are common and the degree of specialization varies greatly. Some Pseudomyrmex ants maintain an obligate mutualistic relationship with a group of plants in the genus Vachellia. Ants aggressively defend the resources the plants provide (food and shelter) against a wide range of herbivores and food robbers. A few arthropods successfully overcome the ant’s defense, which allows them to access the resources the plant offers. We here report for the first time extrafloral nectar robbing by Notaulacella octicola Sabrosky, 1994 flies (Chloropidae). These flies congregate in large numbers to feed on extrafloral nectar simultaneously with Pseudomyrmex ants, which seem to defend the nectaries against flies. This report suggests that the extrafloral nectar of Vachellia represents an important food resource for N. octicola, particularly during the dry season when small flowers are scarce. BARRANTES, Gilbert et al. ANOTHER ONE BREAKING THROUGH AN ANT PLANT MUTUALISM. Boletín de la Sociedad Zoológica del Uruguay, [S.l. ], v. 27, n. 1, p. 11-13, july 2018. ISSN 2393-6940. 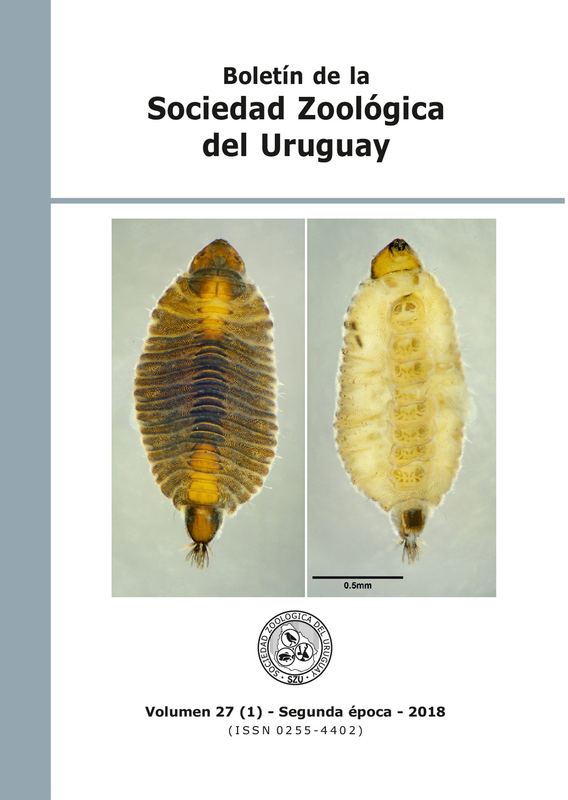 Available at: <http://szu.org.uy/journal/index.php/Bol_SZU/article/view/43>. Date accessed: 25 apr. 2019. doi: https://doi.org/10.26462/27.1.4.